Sylfia is an expedition style motor sailor built by Bernard Kuczera. During his 40 years sailing he built 6 yachts in this similar style, evolved from a Bruce Roberts design. The first one was built in a coal mine in Poland 600km from the sea, the latest built in the Bay of Islands, New Zealand. All around the world people stop to take a second look at these unique masterpieces. Sylfia is a versatile yacht built for the adventurer, as well as the cruiser; with large open spaces to carry cargo or the big family. She has considerable volume for her length. The large wheel house with great views is where it all happens; navigation, galley and bathroom. She is easily self-maintained with the well-equipped workshop and clever, simple systems. 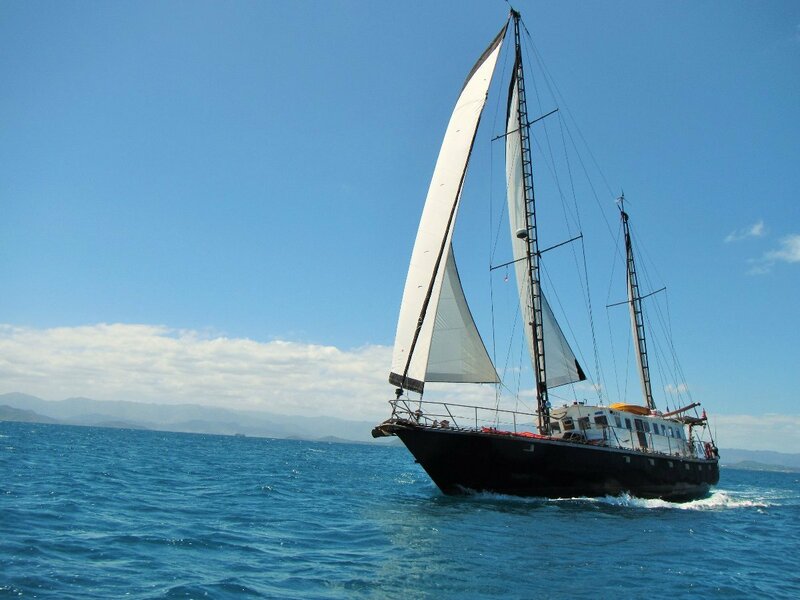 Being fitted in a basic but functional style she could be sailed as is or easily modified to suit, her solid build could take you on expeditions in all corners of the world. This yacht makes a great work platform because of the extensive workshop with a lathe, drill press & welder. The derrick crane and large cargo hatch gives the ability to load and carry 10tonnes plus of cargo. Delivery possibilities available with negotiation.